On 7 March 1962 the Beatles entered a BBC studio for their first session. It was the beginning of a long relationship between the group and BBC radio and was of tremendous importance for their success. 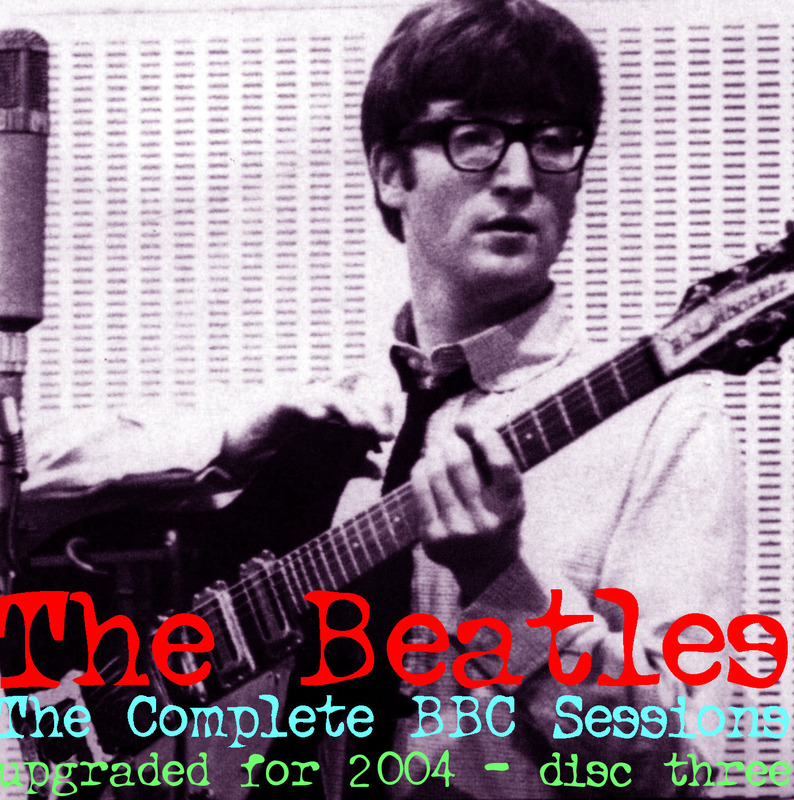 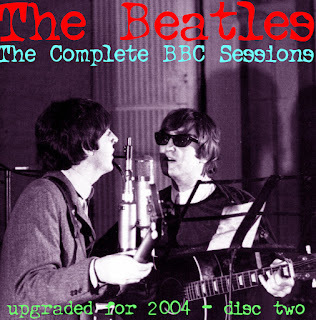 These sessions are among the most important documents of the Beatles' music for two main reasons. First of all, the BBC had regulations limiting the number of discs which could be played during the transmissions, so whenever possible the songs were performed live in their studios. 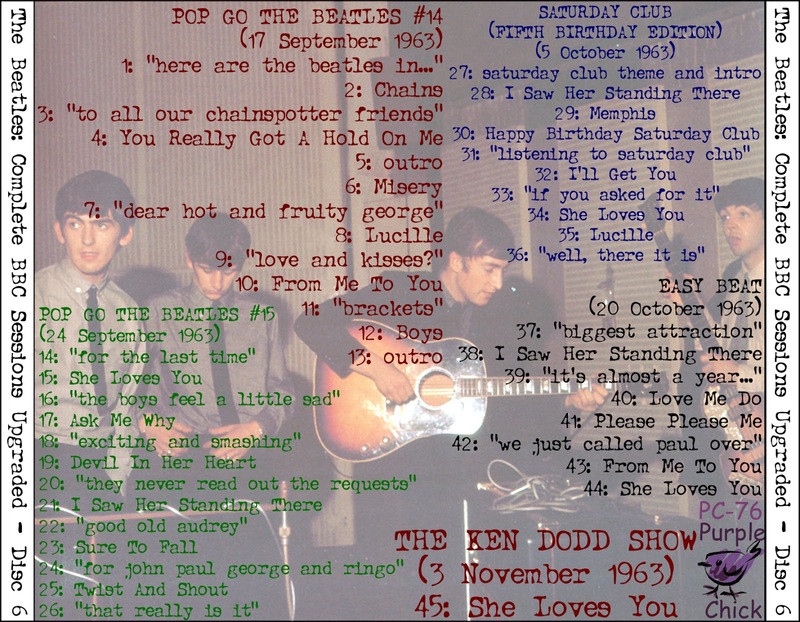 The Beatles did not escape this rule, and each number to be broadcast, including their hits, was recorded live a few days or weeks before being aired. 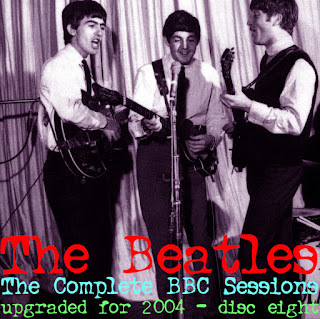 Some of these BBC versions can hardly be distinguished from the commercially released ones, but often slight differences (particularly in guitar solos) can be appreciated. 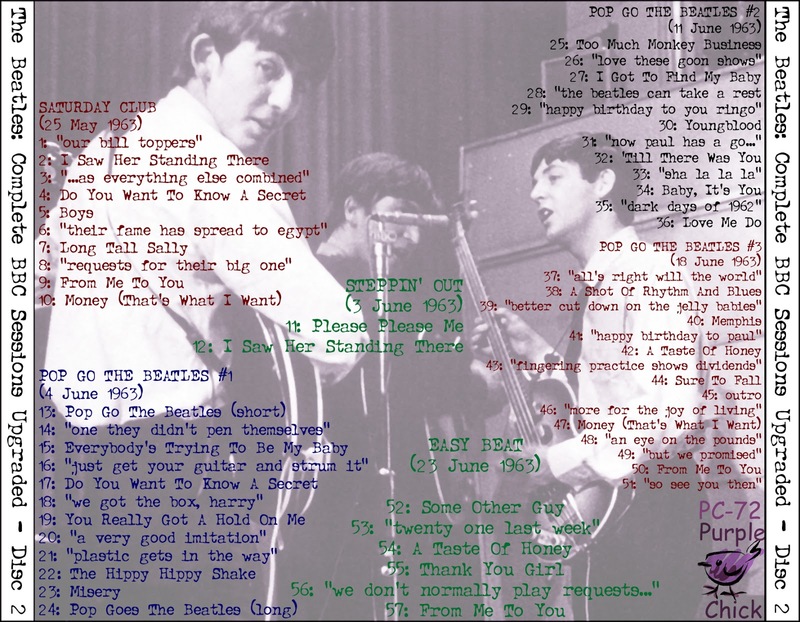 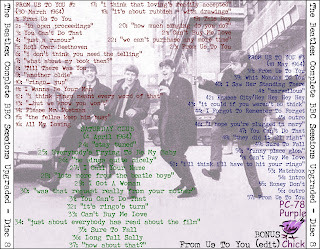 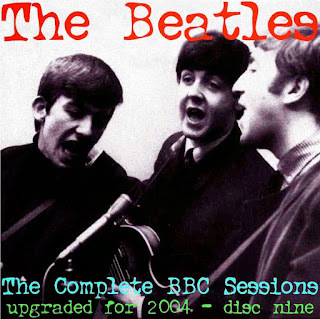 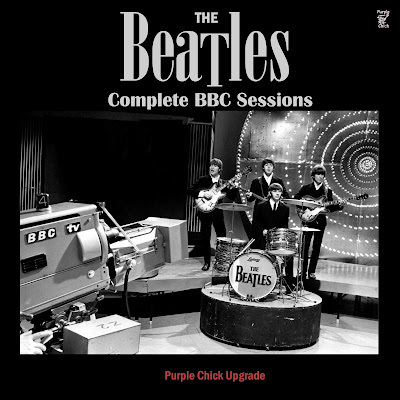 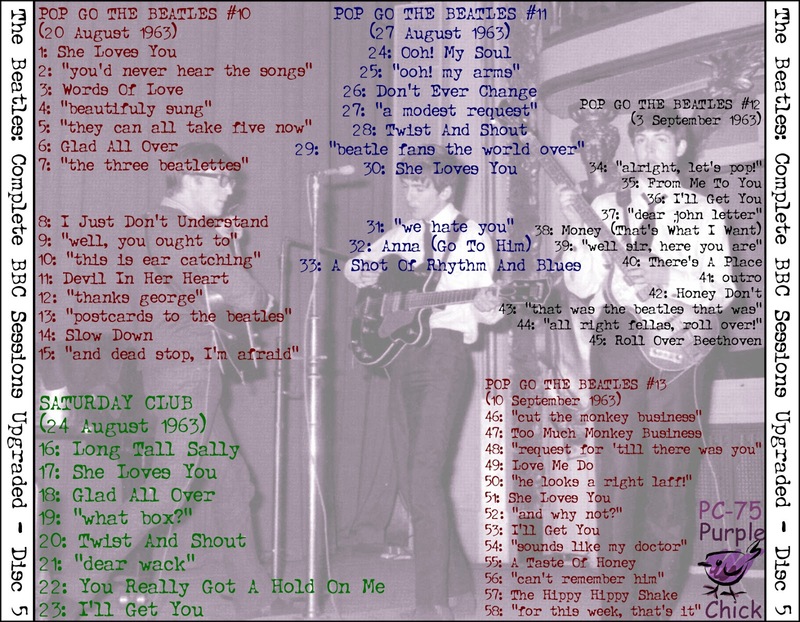 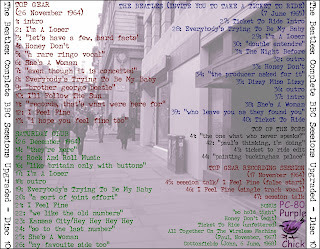 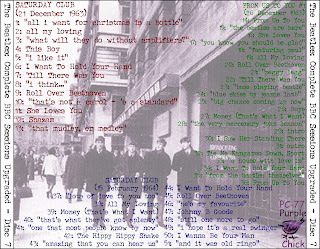 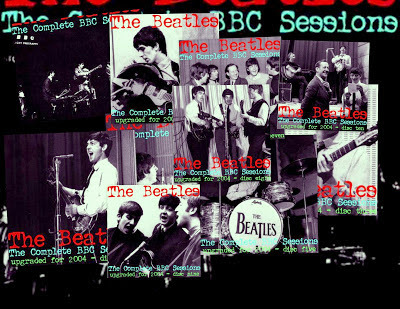 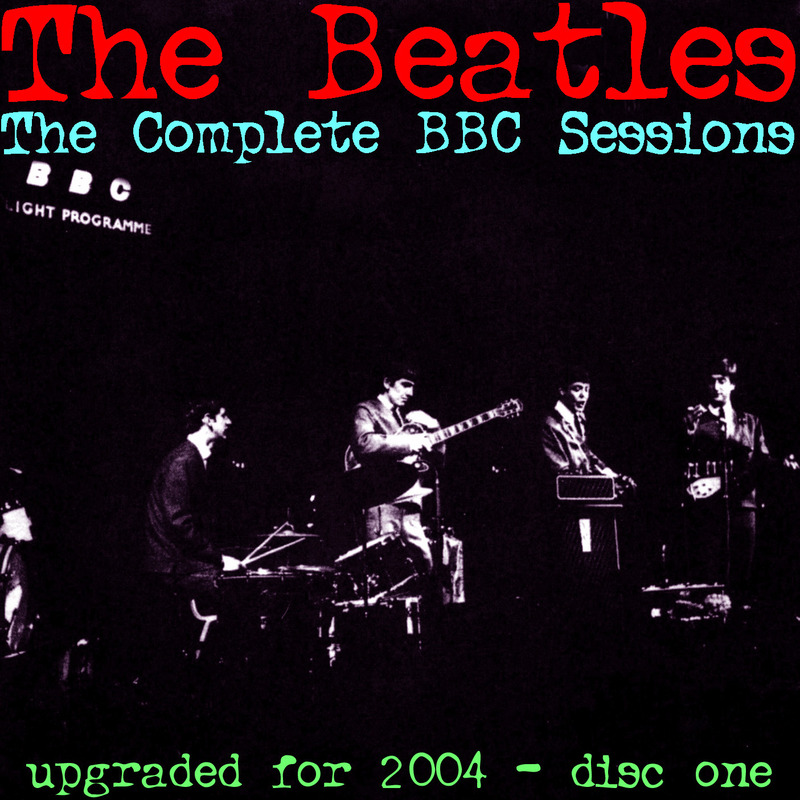 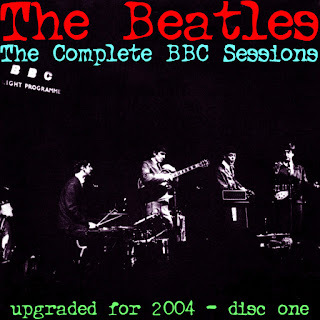 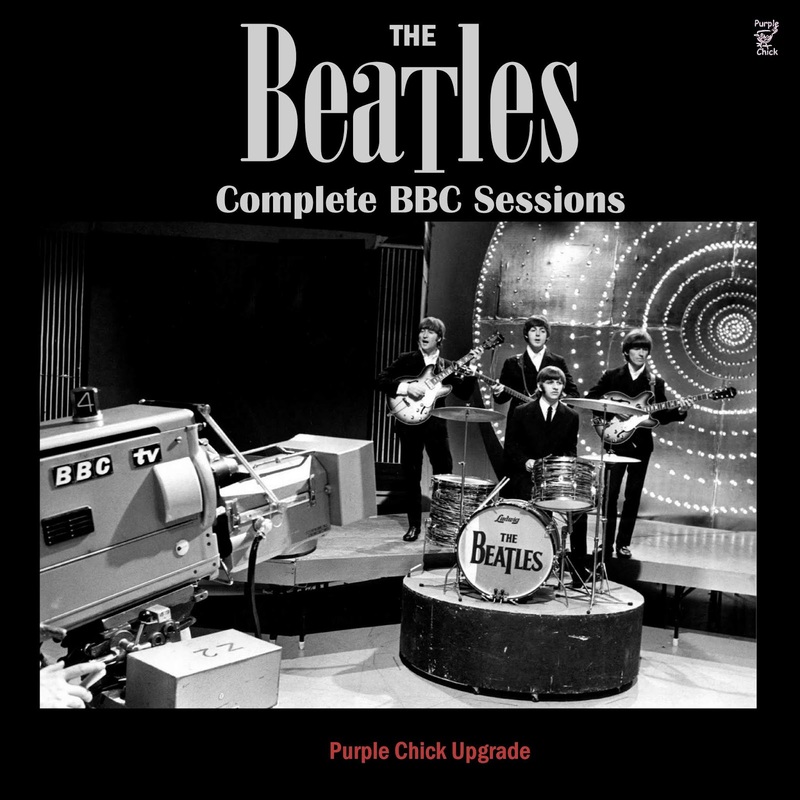 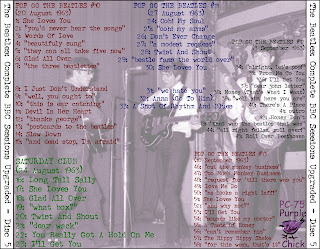 In a few cases the songs were played in noticeably different arrangements, and there are even BBC sessions which unquestionably beat the takes recorded at Abbey Road studios: "Honey Don't", Pop Go The Beatles, September 3, 1963; "I Saw Her Standing There", Easy Beat, October 20, 1963; "Rock And Roll Music", Saturday Club, December 26, 1964; "Long Tall Sally", Top Gear, July 16, 1964, are but a few examples. 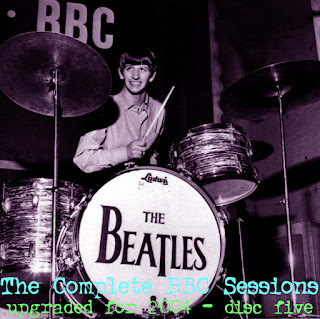 But the real gems of these sessions are all the classics of the fifties and early sixties rock and pop music, performed on BBC and never commercially released by the group. 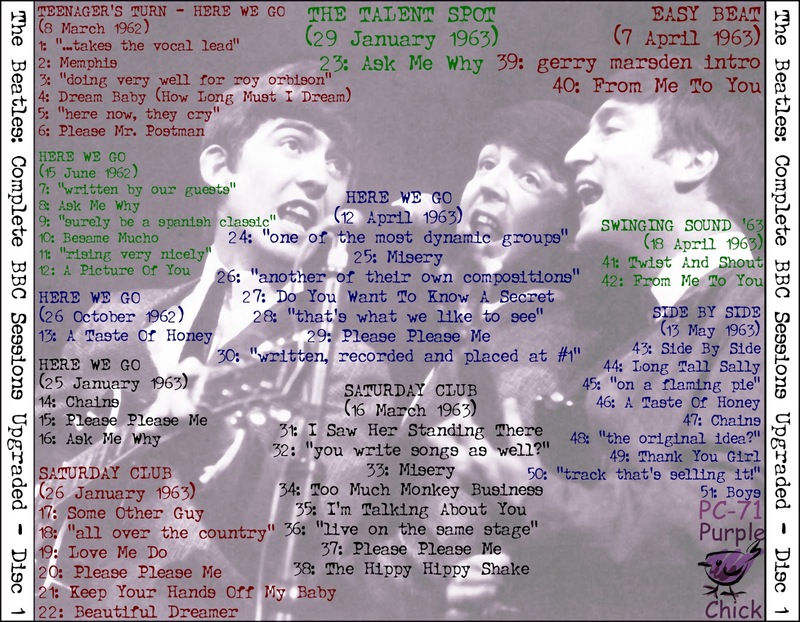 Why did the Beatles play these songs instead of only promoting their records? 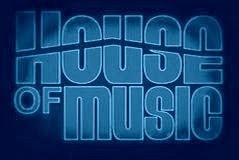 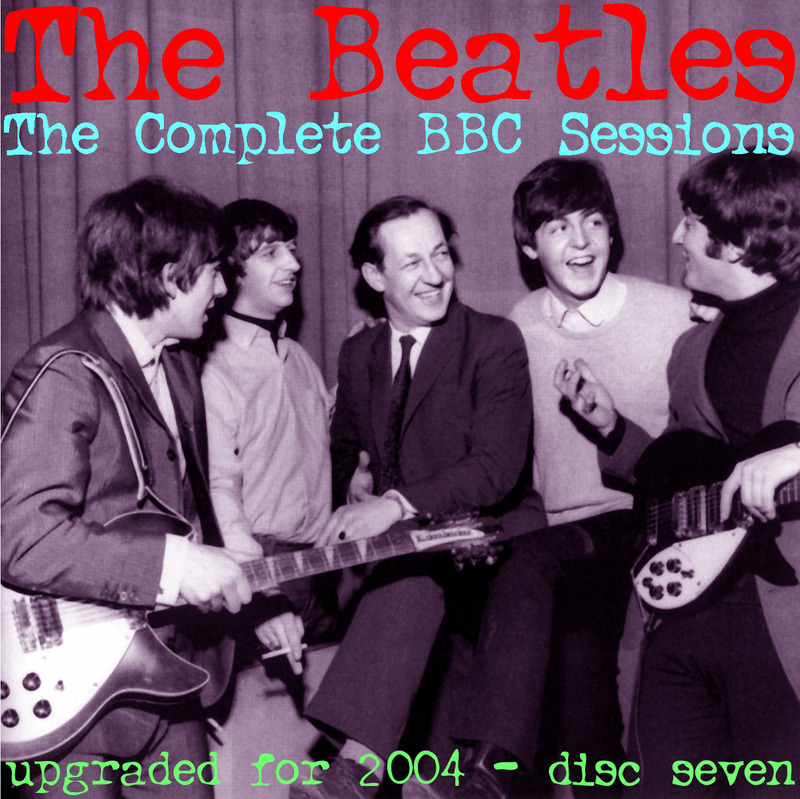 At the beginning, they had not yet released enough songs to fill all the programmes, nearly one a week. 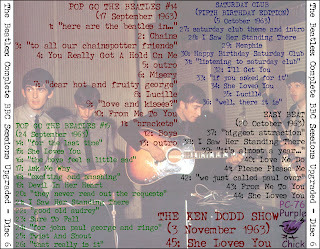 Later, these performances added exciting surprises to fans waiting to hear their favourite group playing live on the BBC. As a result, these programmes were very similar to their live stage performances. 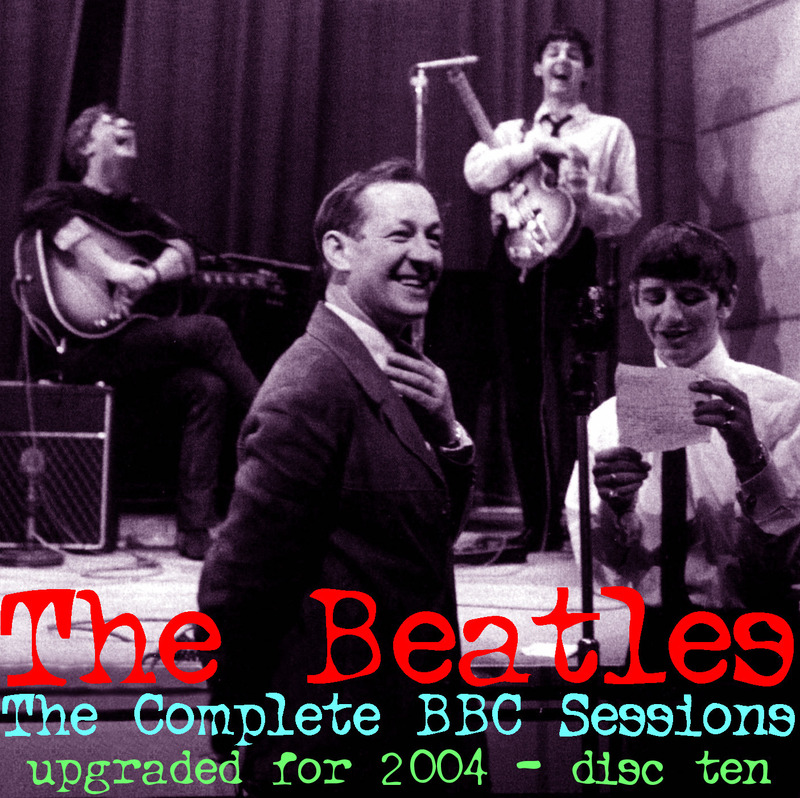 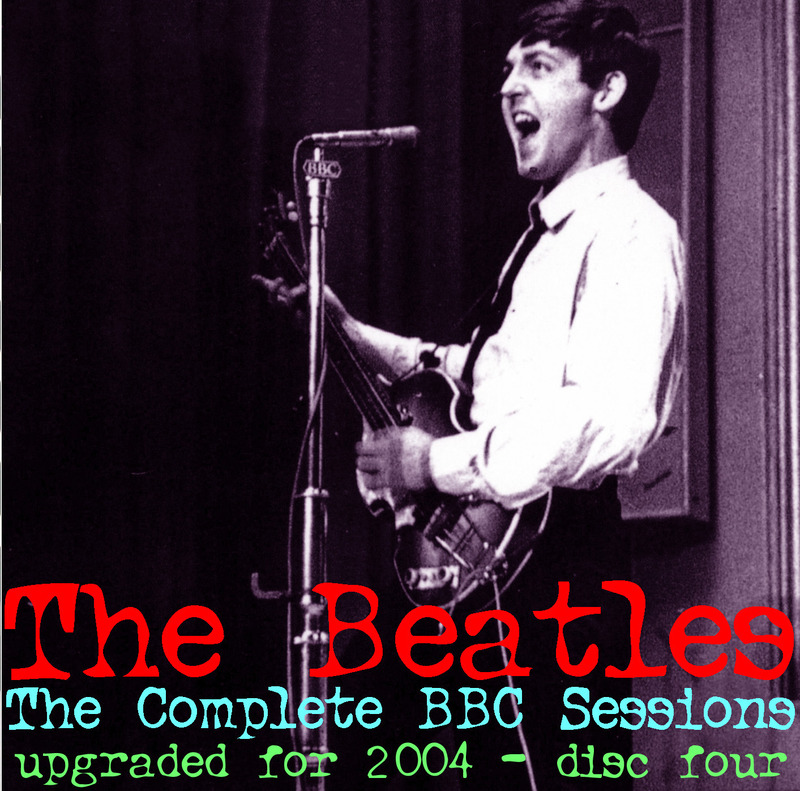 A BBC session also provided the opportunity to try out covers which could later be commercially released. 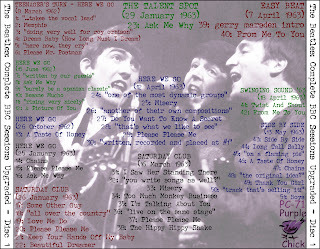 Only on the last shows did the Beatles limit themselves to promoting the commercial releases: by late 1963 they had already conquered the world, and fans just wanted to hear the songs found on the records. 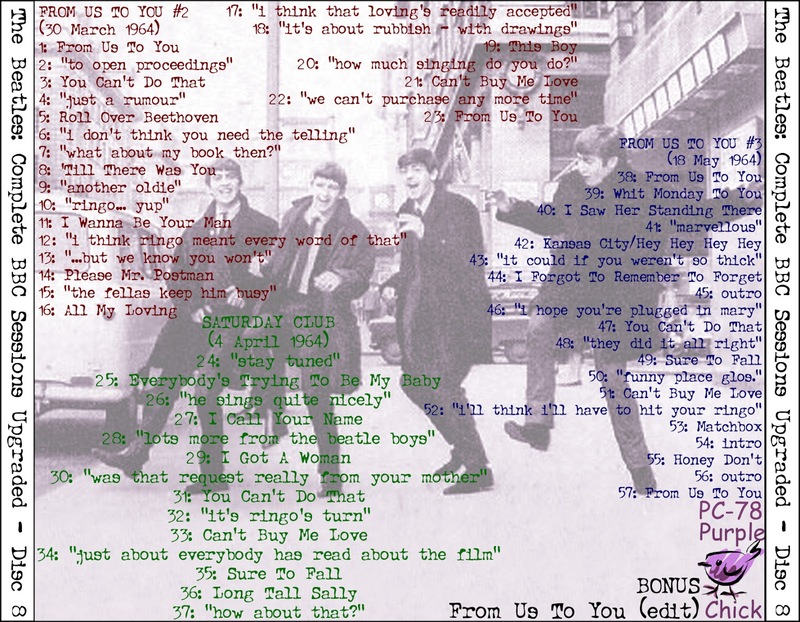 What's sure is that the boys had great fun in the BBC studios, joking with the announcers or reading letters from fans; some of the chats in-between the songs are as pleasant as the musical performances. 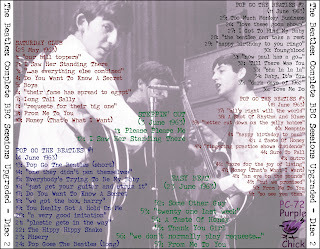 The influences which were important to each of the Beatles also can be recognized. 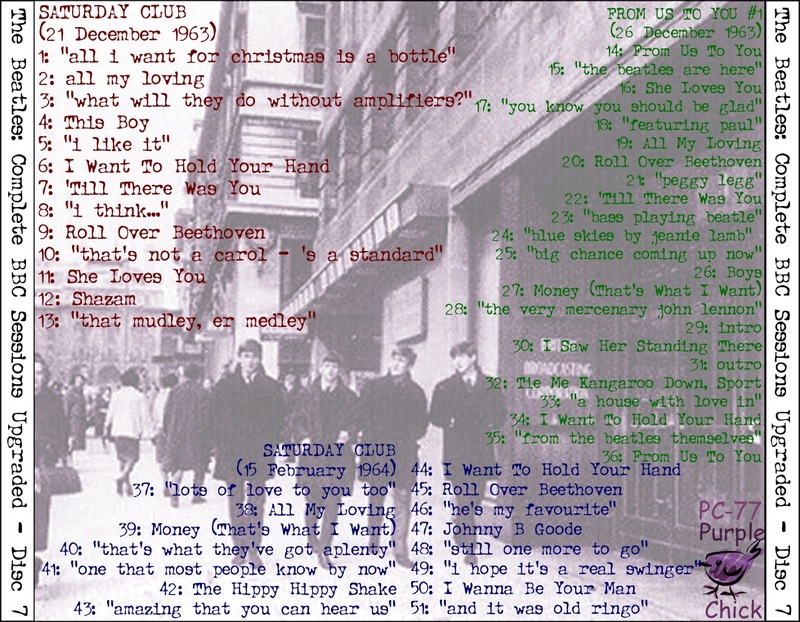 John, for example, was a great fan of Chuck Berry. 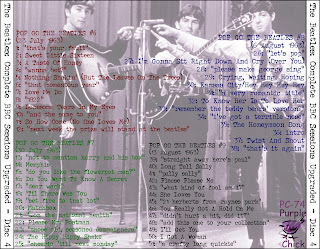 He sang eight Berry songs, always with great personality, and he had great pleasure in covering Arthur Alexander's tunes. Paul sang powerful covers of Little Richards' numbers which very closely match the original version. 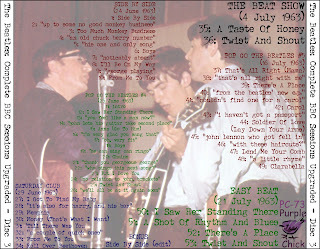 But he also was attracted to popular music hits, such as a "rock" version of "Besame Mucho" and the title song from the film "Honeymoon". 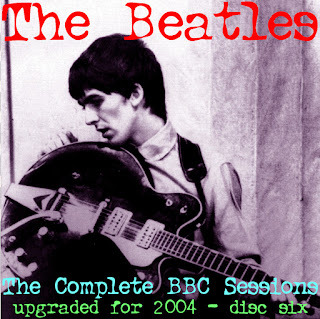 George, beside performing a few classics, often played a different, more rockabilly rendition of the guitar solos than on the commercially released songs; his covers of Carl Perkins' records are unforgettable. 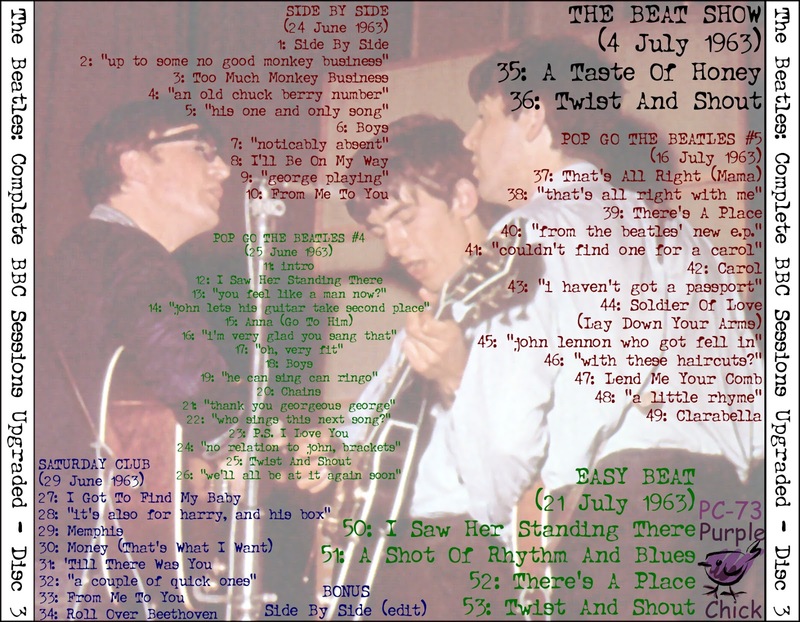 Ringo, apart from his occasional numbers, always displays a very precise rhythm. 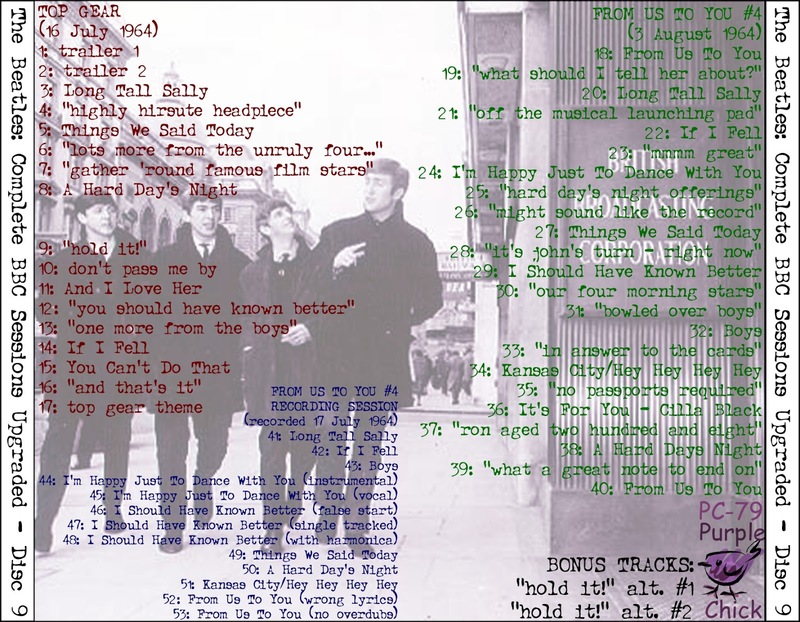 All tracks cleaned up and speed checked. 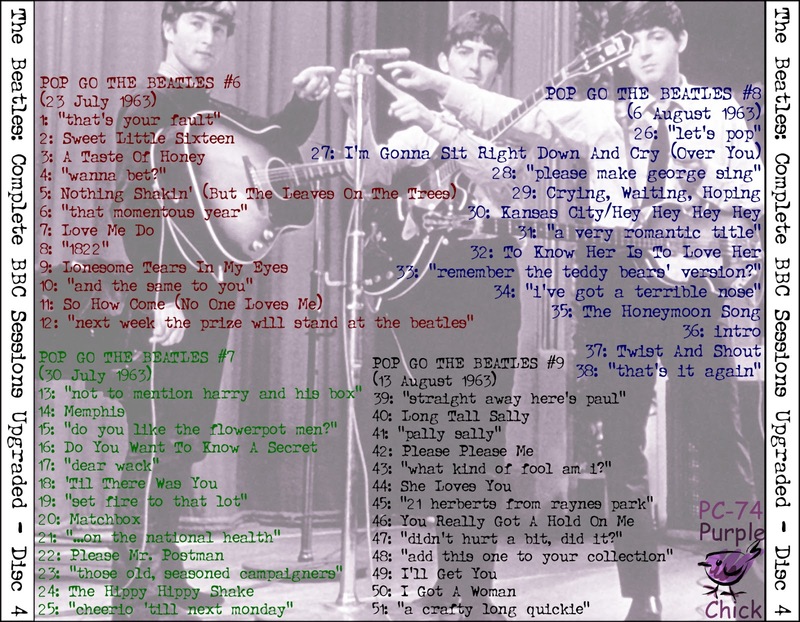 #5 and #7 won't download - "forbidden". 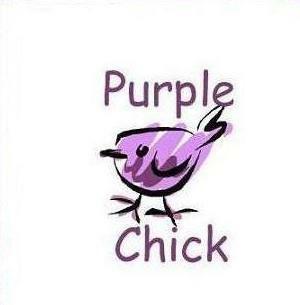 I think there's a copyright issue. 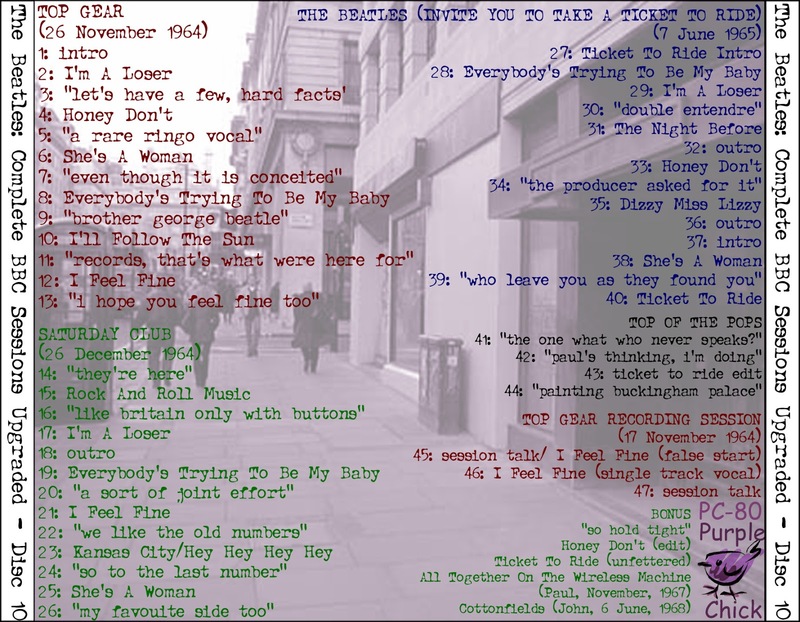 Thanks for these downloads and listing.